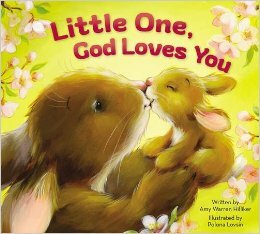 Book Review: "Little One, God Loves You"
Little One, God Loves You, written by Amy Warren Hilliker and inspired by the New York Times#1bestseller The Purpose-Driven Life, is a cute and cuddly board book that let’s children know God made them solely for the purpose of loving them. This book will be released on February 2, 2016. Thanks Zondervan for sending me this book in exchange for an honest review. I was not paid for this review and all opinions are 100% mine. This simple rhyming board book is a hit in my house. 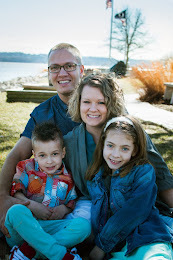 It reminds us that God loves us, we are His family, He helps us, I can be a helper, and I can help others hear about God. 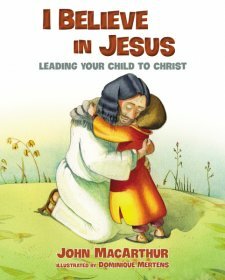 These basic biblical truths are so important to teach our children! We need them to understand at a young age that God loves them and to share His love with others. Make sure you order your copy!